Clean cloth diapers delivered to your door weekly for $28.50 or less. 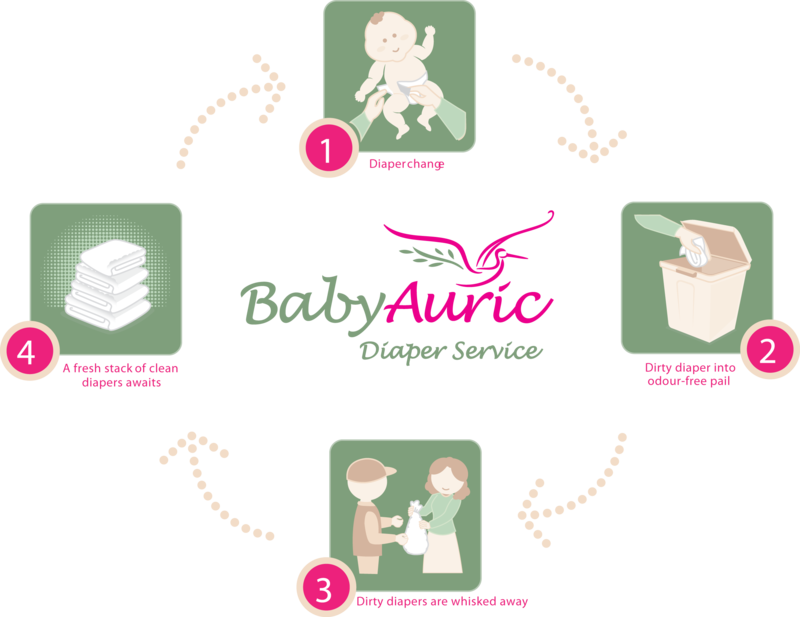 Why the BabyAuric Diaper Service? As busy parents, its easy to ignore the impact of disposables. But can we afford to? We'll help make your cloth diapering as easy as possible. Fill my nest with soft, natural diapers please! There is no excuse not to use cloth with such a great diaper service in town. Highly recommended. By laundering our weekly supply of diapers with hundreds of others i am satisfied that the water used to clean them is as minimal as possible. We launder the diapers with our hospital grade process and deliver them to your home on a weekly basis. We'll bring your first delivery a few weeks before your due date. This way you have what you need for when baby is born. Once you tell us, we start the weekly deliveries and charge you the initial 4 weeks. Put your diapers away and line the pail with the bag. Dirties go into the pail and on your pick-up day, you take the bag of dirties out of the pail and put the bag outside for us to exchange with a new bag and clean diapers. What do we pay upfront? At minimum, you need a pail and diaper covers which you keep at home. Buy them with us or at your favorite boutique. What if i go on vacation or want to pause the service? Not a problem. After the initial 4 weeks you can pause or cancel the service. If we don't visit and/or don't clean, we don't charge. You can sign up anytime you want. We'll bring your first diaper delivery two or three weeks before your due date so you are ready for when baby arrives. Will i ever run out of diapers? You will never run out of clean diapers. 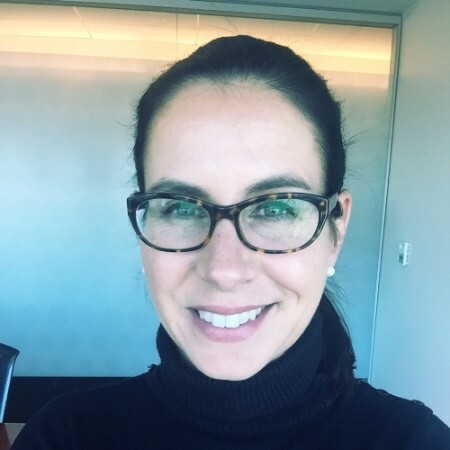 BabyAuric will adjust the delivery quantities to ensure you and your baby’s needs are met. We want to serve everyone we can in Montreal and the surrounding cities. Please contact us here to find out about availability of the service in your area. Not only is this a responsible choice but also the right choice of material to put against my babies little bottoms. And no more a chore than with disposables. A great gif idea. Add us to your registry. Get started with your diaper den!